WASHINGTON -- Underlining a change across the nation, nearly 9 out of 10 adults now say they have health insurance, according to an extensive survey released Monday. Whether the new number from the Gallup-Healthways Well-Being Index turns out to be a high-water mark for President Barack Obama's health care law, or a milestone on the path toward his goal of getting virtually all U.S. residents covered, remains to be seen. The law's future is still up in the air, and will turn on factors ranging from an upcoming Supreme Court decision on consumer subsidies to actions by Republican leaders in states opposed to Medicaid expansion. The Gallup-Healthways survey found that the share of adults who lack insurance dropped to 11.9 percent for the first three months of this year, the lowest level since that survey began its tracking in 2008. 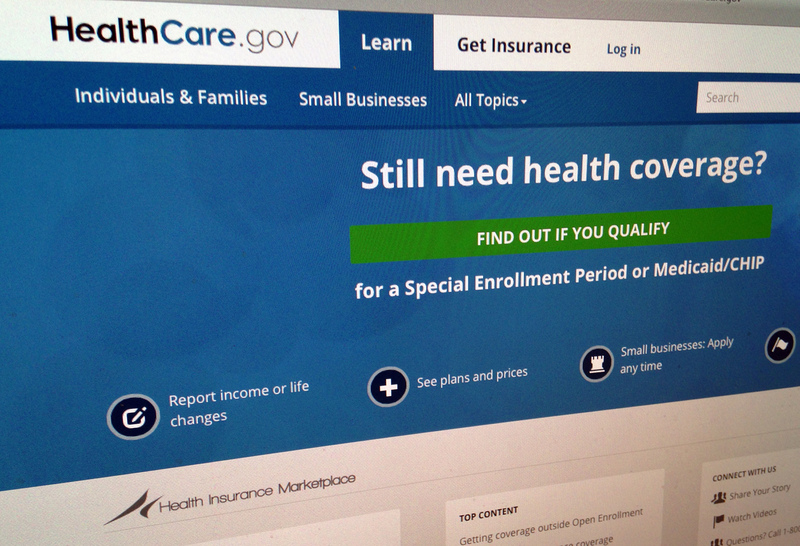 The latest update overlaps with the period when the health law's second sign-up season was winding down. "The Affordable Care Act had three major objectives: increase coverage, slow the rate of increase in costs, and improve health," said Dan Witters, research director for the poll. "The first one is clearly a win. Coverage is increasing; there is no question about it." On balance, an estimated 14.75 million adults have gained coverage since the fall of 2013, when the law's first open enrollment season was about to begin, according to Gallup. "A big outstanding question is what will happen over the next couple of years," said Larry Levitt, a health insurance expert with the nonpartisan Kaiser Family Foundation. "To meet expectations, enrollment has to continue to grow and push the number of uninsured down." The health care law offers subsidized private insurance for people who don't have access to job-based coverage, combined with an expansion of Medicaid aimed at low-income adults in states that accept it. Big states like Florida and Texas are among those refusing to expand Medicaid. -Hispanics saw the biggest coverage gains of any ethnic or racial group. The uninsured rate dropped 8.3 points among Latinos since the end of 2013. Even so, Hispanics are still more likely to be uninsured. "At a time when Republicans are very keenly trying to court the Hispanic vote, a large chunk of Hispanics are gaining insurance via the Affordable Care Act," Witters said. -Recent gains in coverage have benefited people up and down the income ladder. But the most notable improvement has been among those making less than $36,000 a year, a group that traditionally struggled to get and keep health insurance. Their uninsured rate dropped 8.7 points since the end of 2013. -Although the economic recovery is likely to be contributing to coverage gains, the uninsured rate is now significantly lower than it was in early 2008, before the recession. That suggests that the gains in coverage are due to more than an improving economy. Five years after its passage, the biggest question now for Obama's health care law is a Supreme Court challenge.